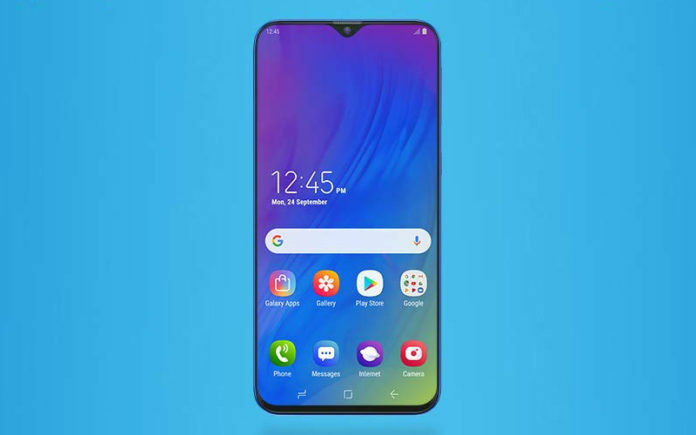 The Samsung Galaxy M10 price in India is Rs 7,990 for the 2GB + 16GB internal storage variant. The phone is available in 2 variants: Ocean Blue, Charcoal Black. The phone was launched in India on 28 January 2019. As most of you might know, entry-level smartphones from Samsung are known for having weak processors, unoptimized UI, short battery backup, poor camera performance, and cheap build quality. Similarly-priced smartphones from brands like Xiaomi, Honor, Motorola, Nokia, Realme, Asus, etc. perform significantly better in every aspect compared to the ones from Samsung. It has been really long since Samsung has launched an entry-level smartphone that is worth buying, and everyone had completely lost hope in the brand. Well, it looks like Samsung has come to its senses. The brand has now launched the Galaxy M10, which addresses most complaints people had with Samsung’s entry-level smartphones. The Samsung Galaxy M10 has a nearly bezel-less display with a tiny V-shaped notch. It features a dual-camera at the back, which has one camera with regular FoV and one camera with ultra-wide FoV. The smartphone is powered by the new Exynos 7870 SoC. The battery has a 3400mAh capacity, which is on par with other similarly priced smartphones. The Galaxy M10 also breaks the traditional Samsung design language with its all-new modern-looking aesthetics. In short, the Galaxy M10 has most of the features that other similarly-priced smartphones of 2019 offer. The Galaxy M10 has hardware that can give a tough competition to other smartphones in the price segment. In my opinion, the Galaxy M10 is undoubtedly Samsung’s comeback in the entry-level smartphone segment. All we have to see now is how well the brand holds up in future with its upcoming entry-level smartphones.